AUTO light position (if equipped): The parking lamp and headlamp will be turned ON or OFF automatically depending on the amount of light outside the vehicle. Even with the AUTO light feature in operation, it is recommended to manually turn ON the lamps when driving at night or in a fog, driving in the rain, or when you enter dark areas, such as tunnels and parking facilities. Headlamp delay function (if equipped): If the POWER button is placed in the ACC position or the OFF position with the headlamps ON, the headlamps (and/or parking lamps) remain on for about 5 minutes. However, if the driver’s door is opened and closed, the headlights are turned off after 15 seconds. Also, with the vehicle off if the driver's door is opened and closed, the headlamps (and/or parking lamps) are turned off after 15 seconds. The headlamps (and/or parking lamps) can be turned off by pressing the lock button on the smart key twice or turning the light switch to the OFF or AUTO position. 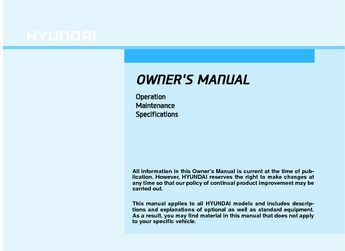 You can activate or deactivate the Headlamp Delay function from the User Settings mode (Light) on the LCD display.